Papaya is good for you. Here’s why. Papaya might not be a regular addition to your weekly shopping basket, but it should be. Available all year-round (with flushes in autumn and spring), papaya offers a delicious taste and boasts a wealth of health benefits. Here are six surprising benefits papaya has to offer. 1. Papaya’s anti-inflammatory properties keep your gut healthy: Papaya contains a unique combo of antioxidants including vitamin A, vitamin C, lutein, zeaxanthin and beta-carotene. These antioxidants help fight the damaging effects of free radicals in the body, lowering oxidative stress and reducing inflammation. Antioxidants also support the immune system and improve the gut microbiome, which are important for maintaining a healthy gut. The combination of soluble and insoluble fibre in papaya also provides another key ingredient for digestive wellbeing. Dietary soluble fibre absorbs water in the intestinal tract, forming a gel-like mass in the gut, which then acts like a sponge, trapping free radicals and helping to protect the gut. Insoluble fibre, on the other hand, exerts the greatest influence on the large bowel, helping to keep us regular. 2. Papaya is one way to boost your plant-based eating: One of the latest eating trends focuses on plant-based eating. Plant-based foods contain rich in a complex mix of useful chemicals and fibre that work in synergy to lower oxidative stress and dampen inflammation. More and more research is suggesting that plant-based diets may help to better manage or reduce the risk of developing a host of health conditions including diabetes, heart disease, obesity and dementia. Adopting a plant-based style of eating doesn’t mean you have to become a vegan or vegetarian – it just means upping your intake of a variety of vegetables, legumes, unrefined grains, nuts, seeds and whole fruits like papaya. Papaya is just one of the many plant-based foods that provide these benefits as it contains a unique combination of antioxidants including vitamin A, vitamin C, lutein, zeaxanthin and beta-carotene. Antioxidants help fight the damaging effects of free radicals in the body, while also supporting the immune system. 3. 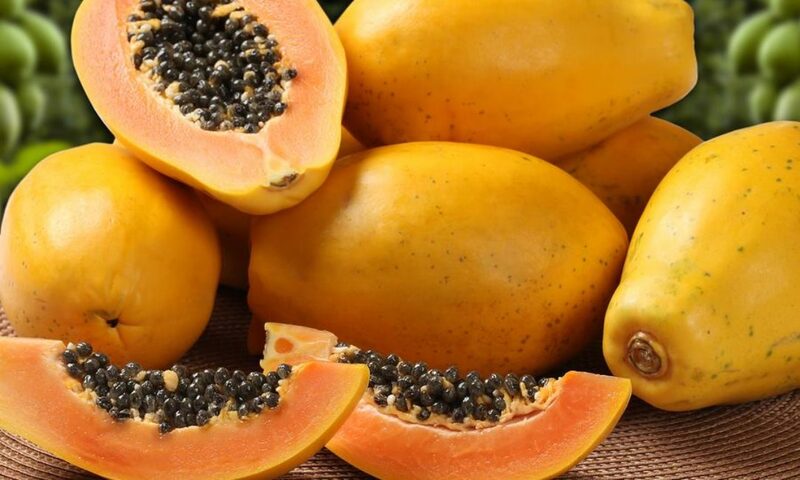 Papaya might be a tropical fruit, but it has a moderate GI: We hear a lot about glycaemic index (GI) and the need to reduce our intake of foods with a high GI in order to optimise our health. Many tropical foods get a bad rap because they are put into a blanketed basket of having high GI. However, papaya actually has a moderate GI and a low glycemic load (which looks at the quality and quantity of carbohydrates), making it a suitable choice to be eaten fresh or added to your favourite recipe. 4. Papaya’s vitamin C content helps boost iron absorption: Can you believe more than 15% of women aged 18-30 years have low iron levels? While lean red meat is the best source of iron, there are also some sneaking ways of boosting your body’s absorption of iron. One way in particular is by combining non-haem iron-rich foods (iron found in plant-based foods) with vitamin C, as it is a fantastic enhancer of iron absorption in the body. With its excellent source of vitamin C, papaya is the perfect topper for your morning muesli or porridge and a tasty addition to a vegetarian curry. 5. Papaya contains a bundle of skin-protective nutrients: Papaya contains a rich bundle of skin-protective antioxidants like vitamin C and carotenoids that help you get your glow on naturally. Vitamin C helps with collagen production thereby providing your skin with support and elasticity, while beta-carotene has a key role in the formation and repair of your skin cells. Containing nearly 90% water, papaya can also help keep your skin hydrated and glowing on the outside. 6. Papaya is nutrient-rich option for mums-to-be and their growing hub: Papaya contains a range of vitamins and minerals that are vital for a mum-to-be and her growing bub. It is high in folate, which is important for normal cell division and tissue formation during pregnancy. Papaya is also an excellent source of vitamin C, which is important for supporting the baby’s development and for keeping mum’s immune system healthy. With a serve containing almost three times (2.7) as much fibre as a cup of brown rice, papaya is a great way to help mums-to-be reach their daily fibre intake. Papaya with its moderate GI is also a good choice for satisfying hunger. For more information on papaya, visit Australian Papaya. Caitlin Reid is an ambassador for Australian Papaya. 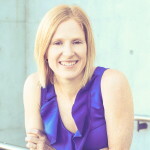 She is a unique health professional with qualifications as an accredited practising dietitian, accredited exercise physiologist and yoga teacher. Caitlin is passionate about all things health and wellness, and keeps up-to-date with the latest health research, which she uses when contributing expert advice to fitness, lifestyle and food companies. She is also the nutrition expert for the Women’s Fitness magazine, the dietitian for NSW Swifts and owner of kid’s activewear and lifestyle brand, J+L Lifestyle. Follow Caitlin on Instagram @caitlinareid or visit her website.